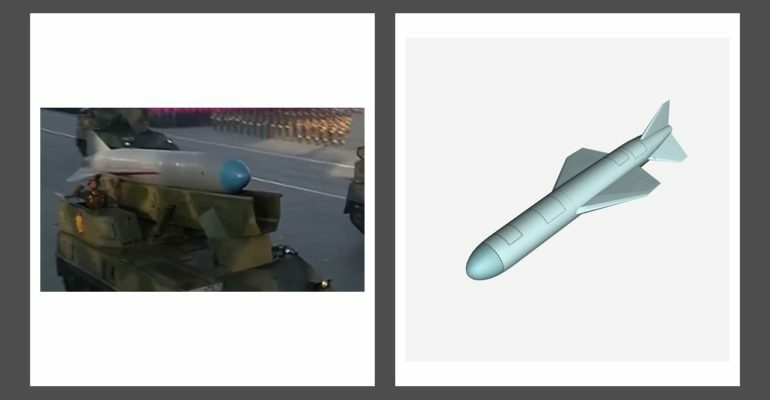 The KN-01 is a North Korean anti-ship cruise missile that is an extended-range variant of the Soviet P-15 Termit (SS-N-1 Styx), and China’s CSS-C-2 Silkworm. The missile’s design was exported from the Soviet Union to China, from where it is believed the North Koreans attained it. Since 1993, North Korea has continued to work on the KN-01 to extend its range, and possibly arm it with a nuclear warhead. North Korea’s testing of the KN-01 frequently worry neighboring countries – Japan and South Korea – as often the missiles will fall into the sea close to either countries territory. North Korea has tested the KN-01 repeatedly since its first flight test in 1993. The North Koreans work to continually improve the missile, such as the 2015 test with an integrated turbojet engine. North Korea reportedly aims to make its submarines capable of launching the KN-01. An SLBM, if fitted with a nuclear warhead, would give the North Koreans second-strike capability, making them a greater threat to start a nuclear exchange. However, South Korean officials have determined that the missiles currently have no electronic countermeasure (ECM) capabilities, making them easy to interfere with and knock down with jammers.